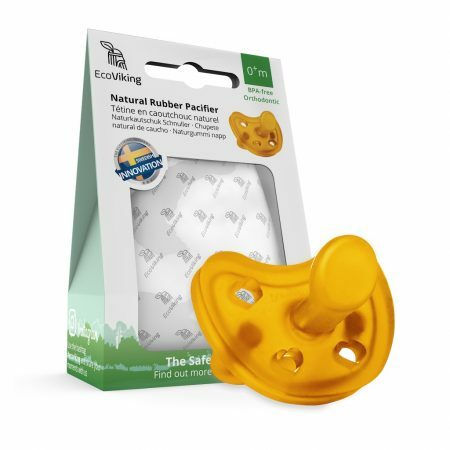 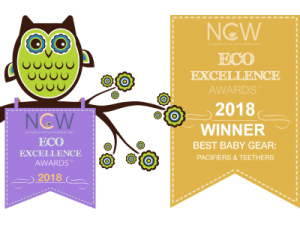 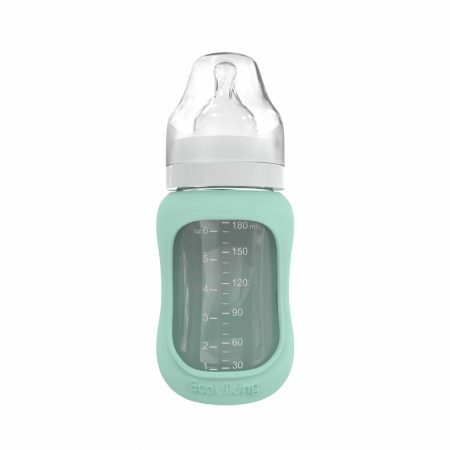 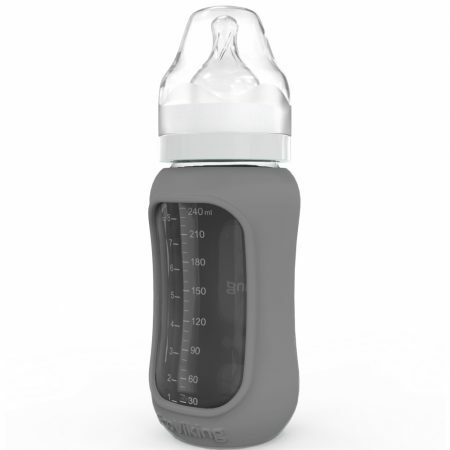 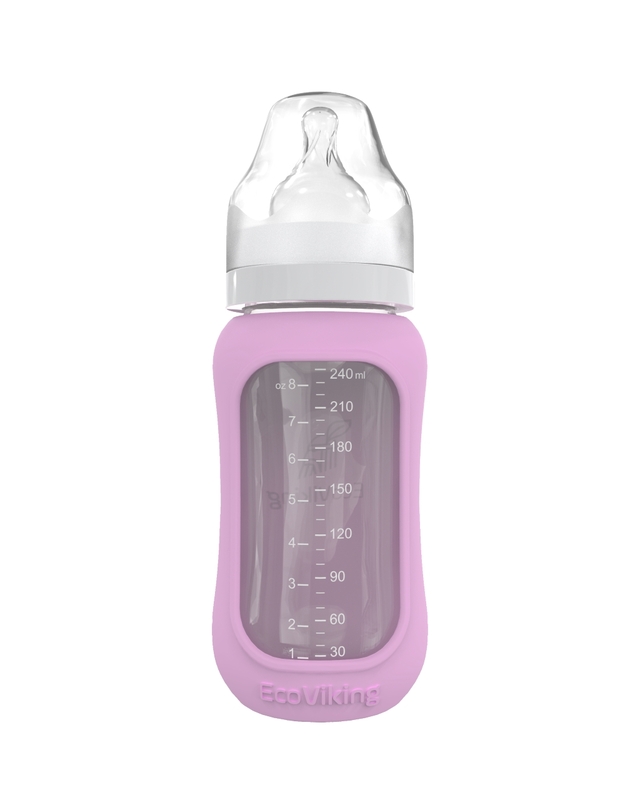 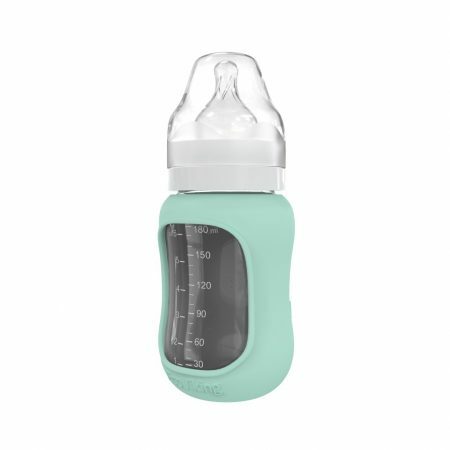 The original Eco Baby Bottle in glass from the Swedish brand EcoViking®. 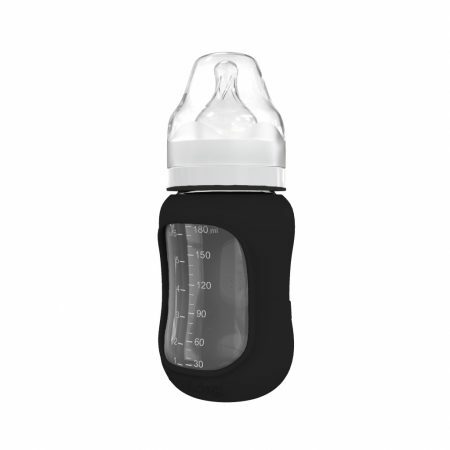 The bottle is made of borosilicate glass, comes with protective silicone sleeve. 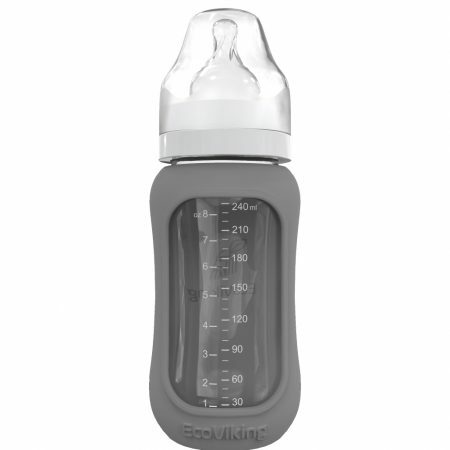 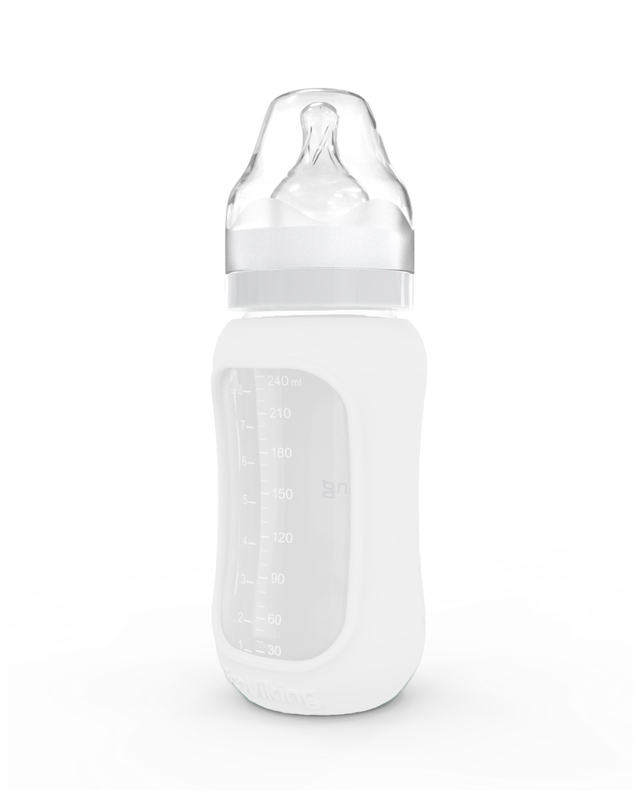 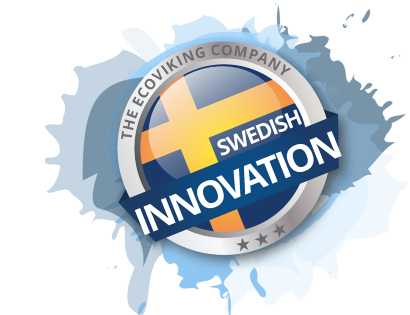 The original Eco Baby Bottle™ in glass from the Swedish brand EcoViking®. The bottle is made of durable and heat resistant borosilicate glass that can handle large thermal differences. 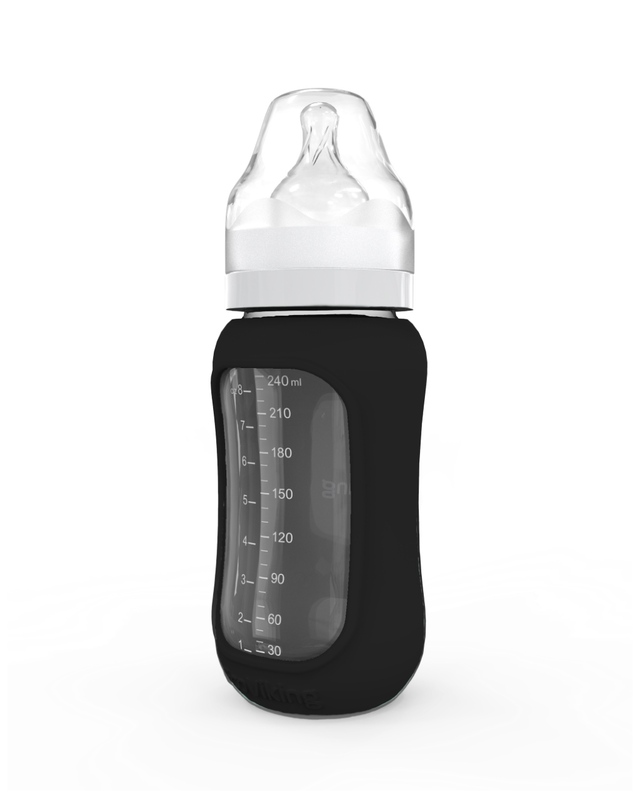 Resistant to go directly from the freezer to boiling water. 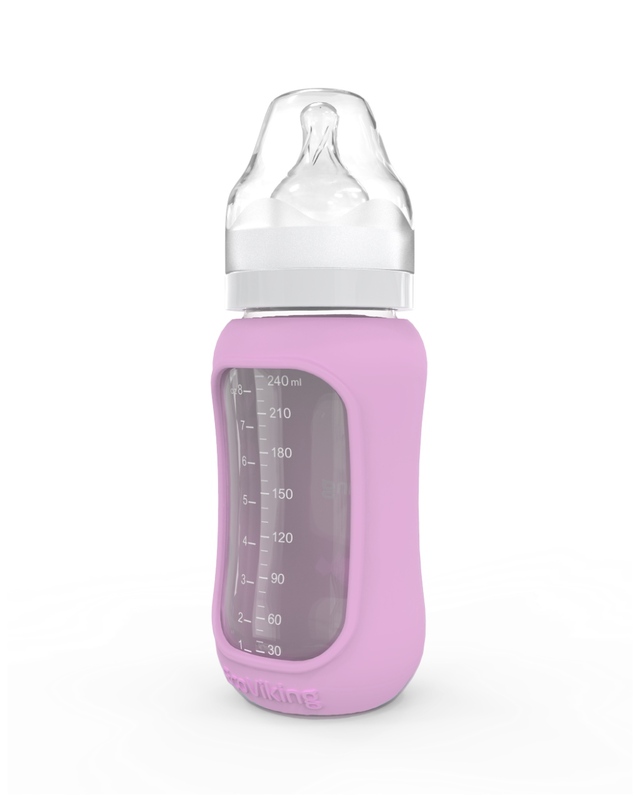 The colorful silicone is very grippy and gives a good protection against breakage.